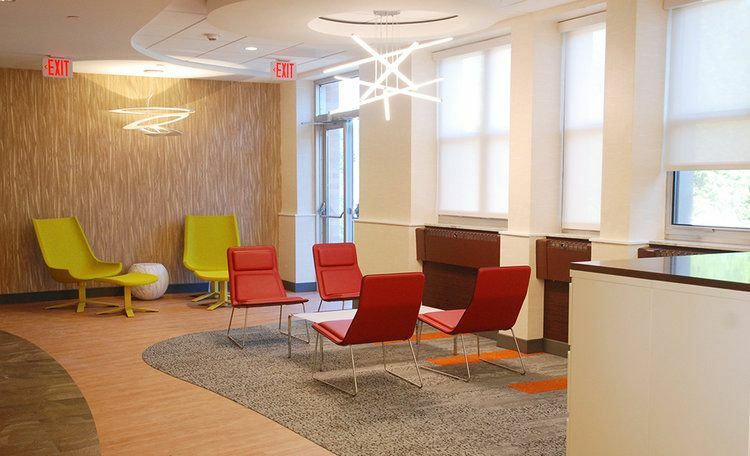 Originally built in the late 1930’s as a Convent to house the Sisters of the Holy Redeemer the design and use of this interior has seen a huge modern transformation. 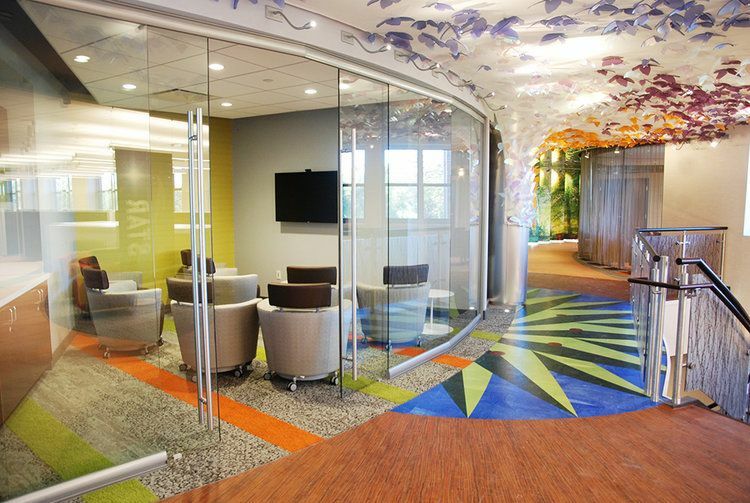 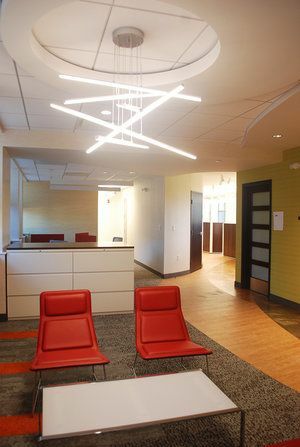 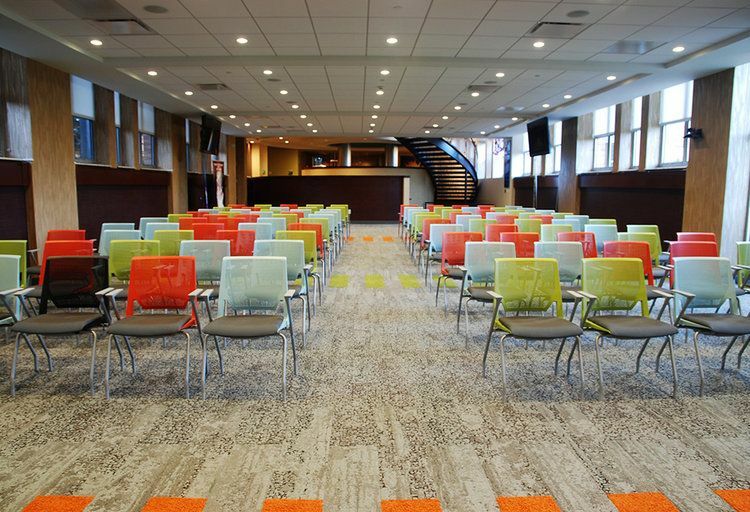 As the group decreased in size, the 3-story building was repurposed into a learning and conference center for the Holy Redeemer health system employees. 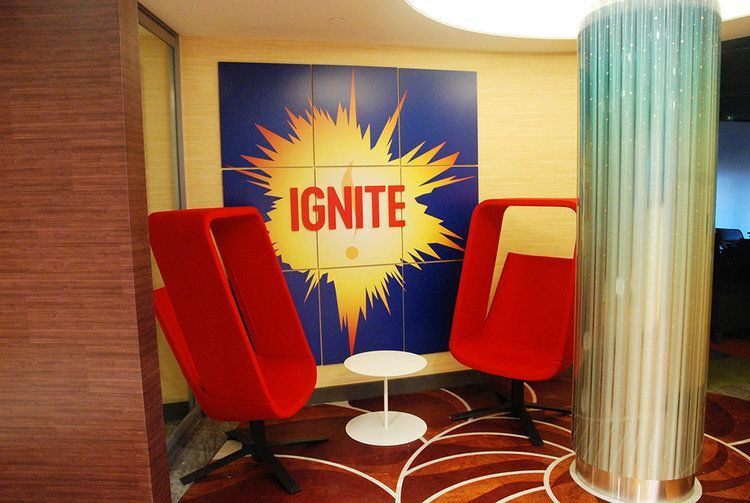 The ultimate goal was to create an environment that would continue their legacy, namely Spark! 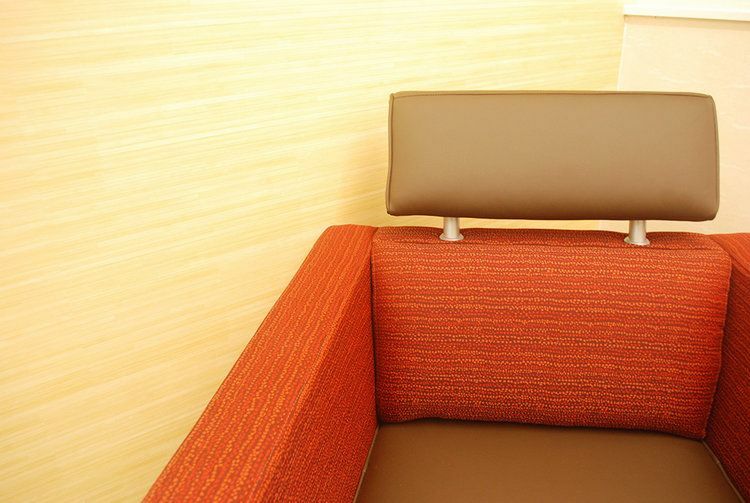 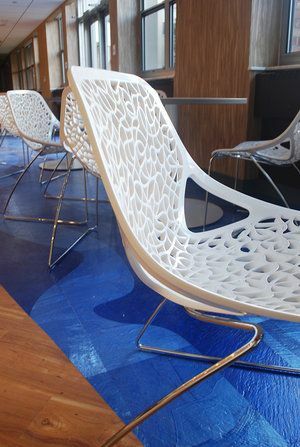 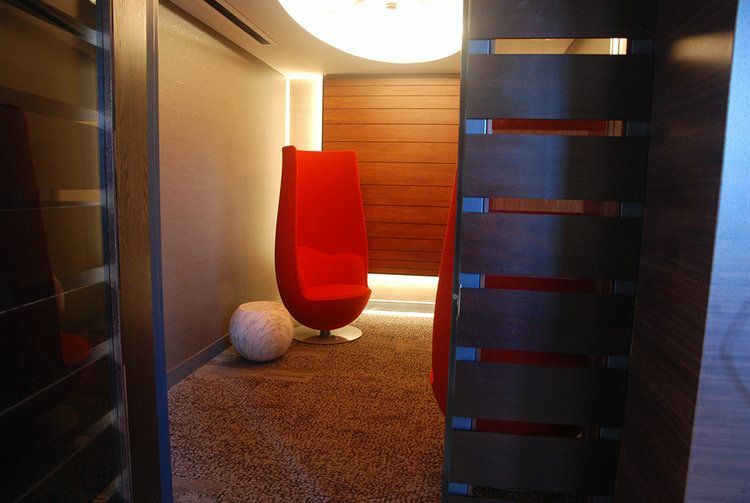 The design of the space conveys five main points of Spark! 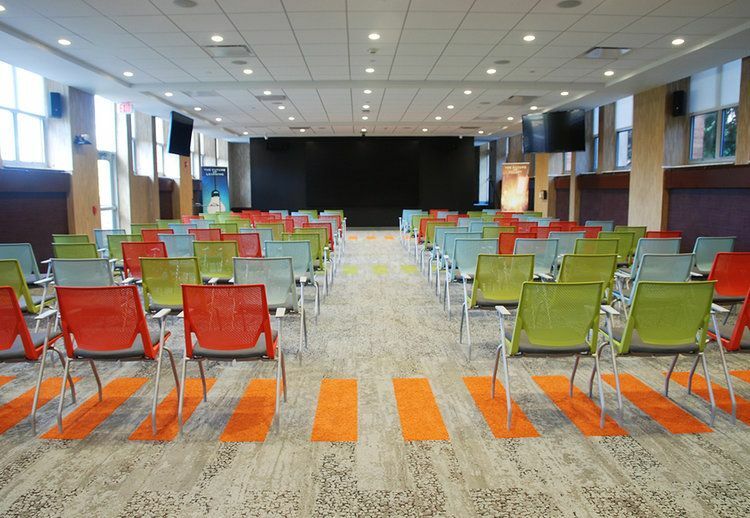 The future of story, learning, culture, leadership and you. 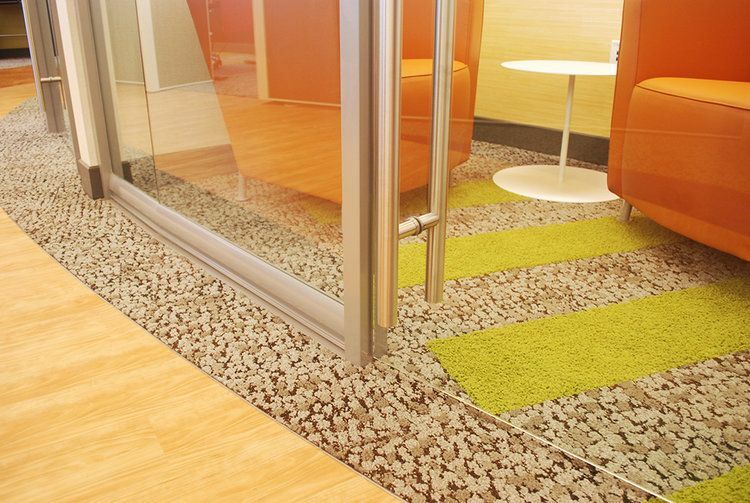 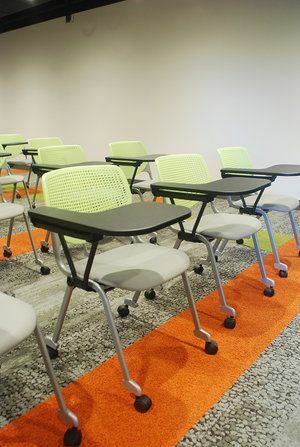 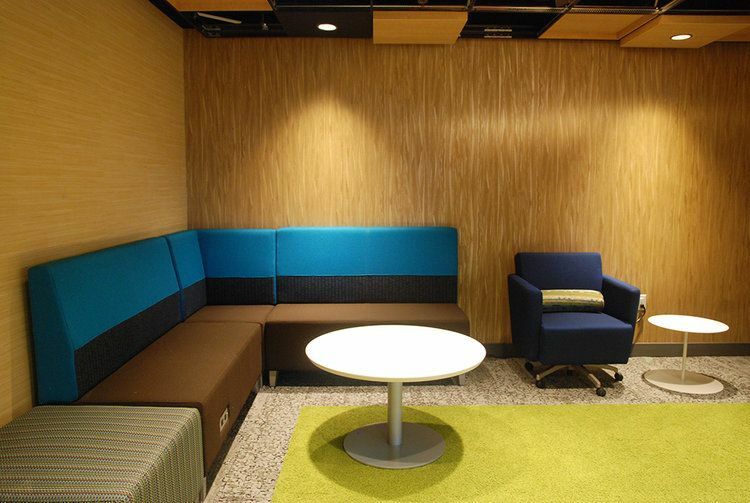 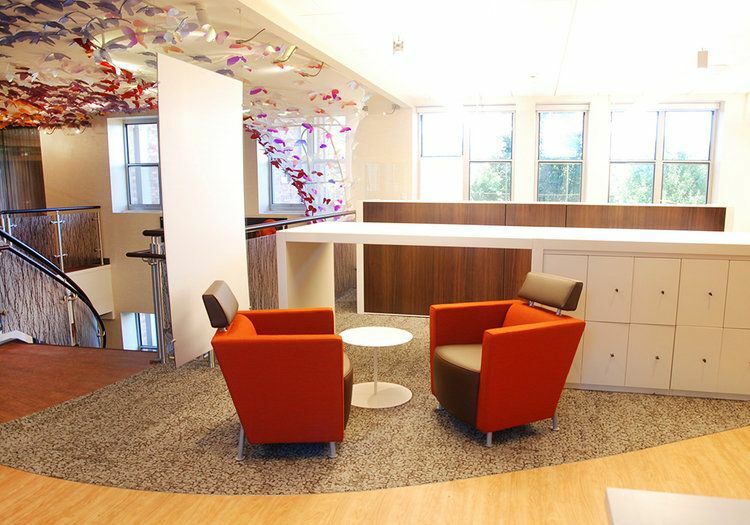 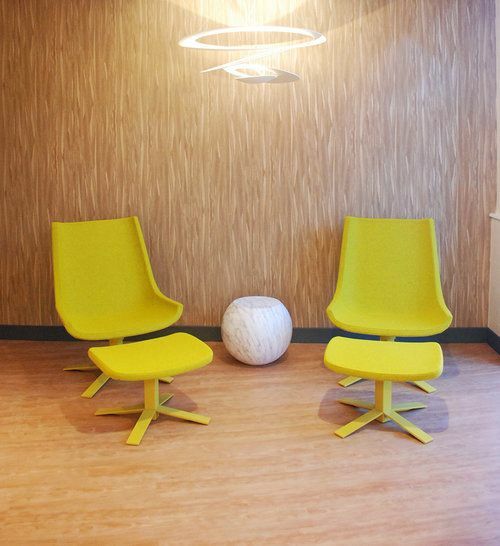 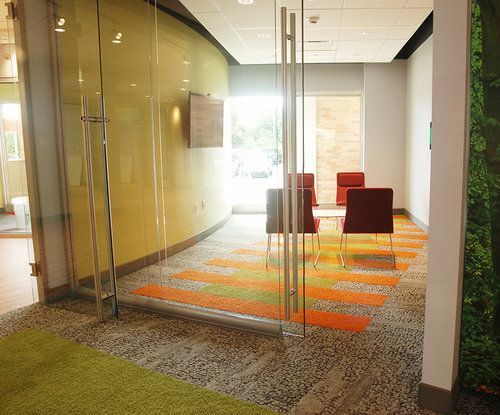 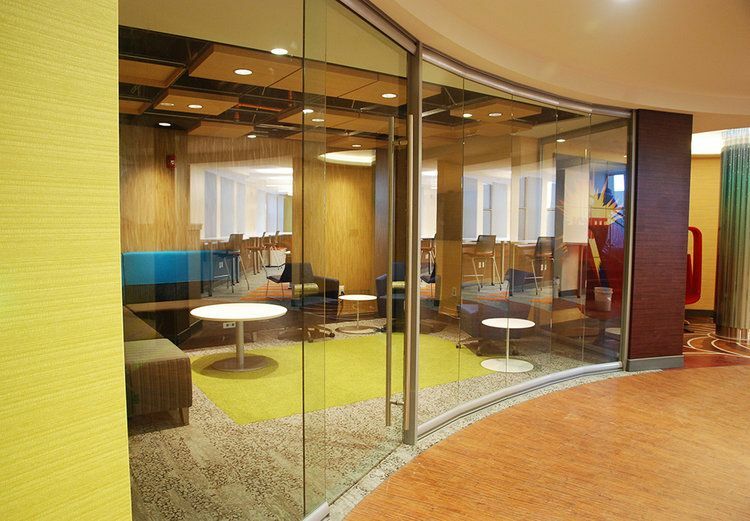 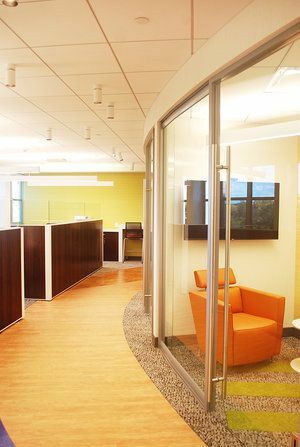 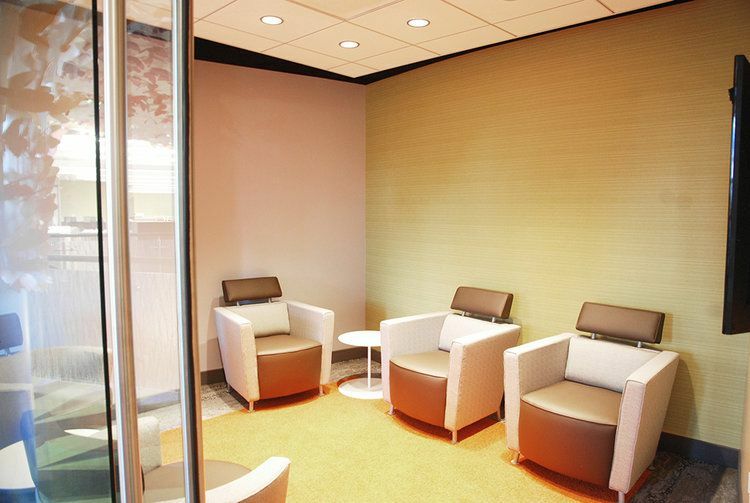 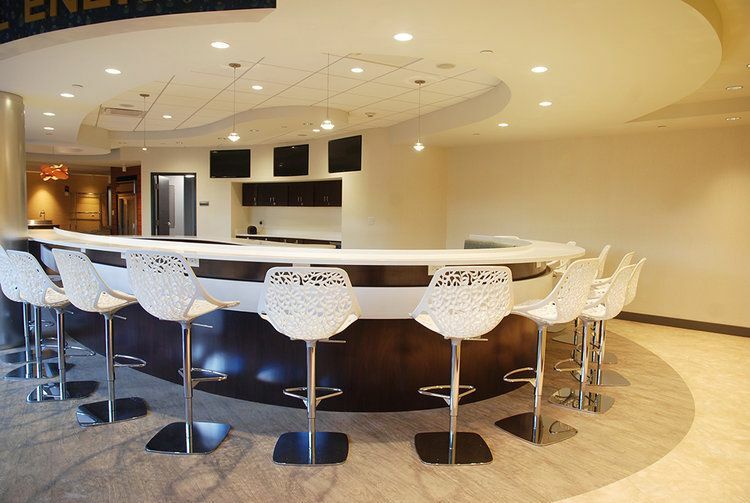 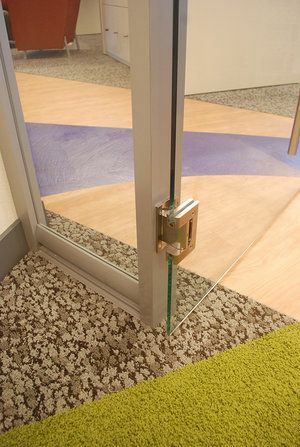 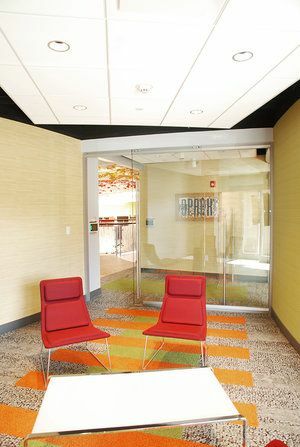 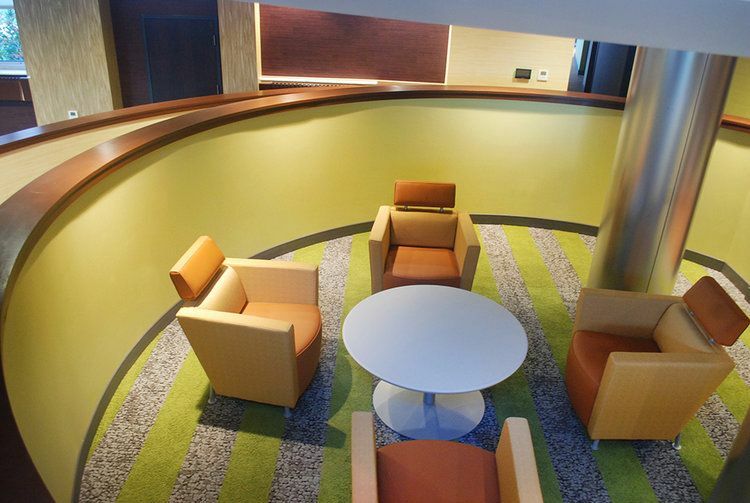 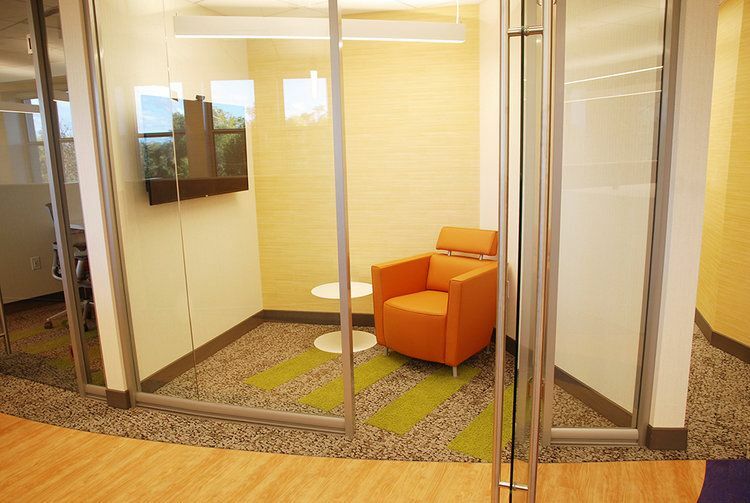 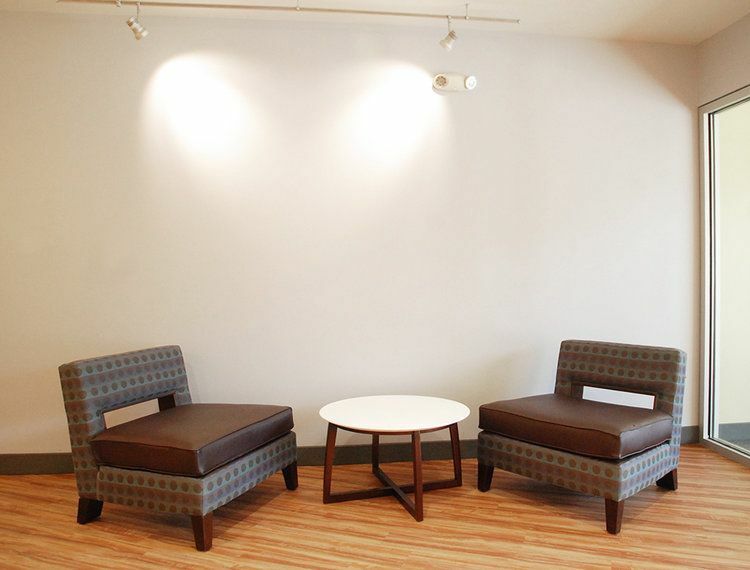 Throughout the space there are casual meeting areas, a large training room as well as an open presentation space. 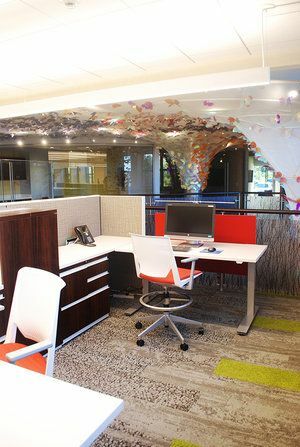 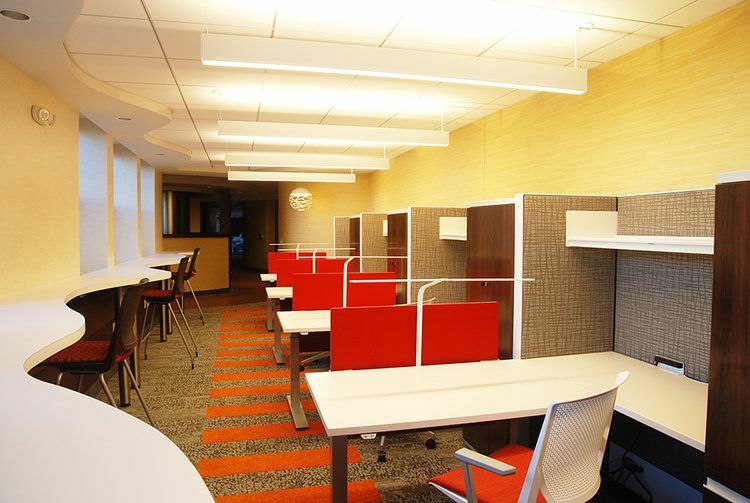 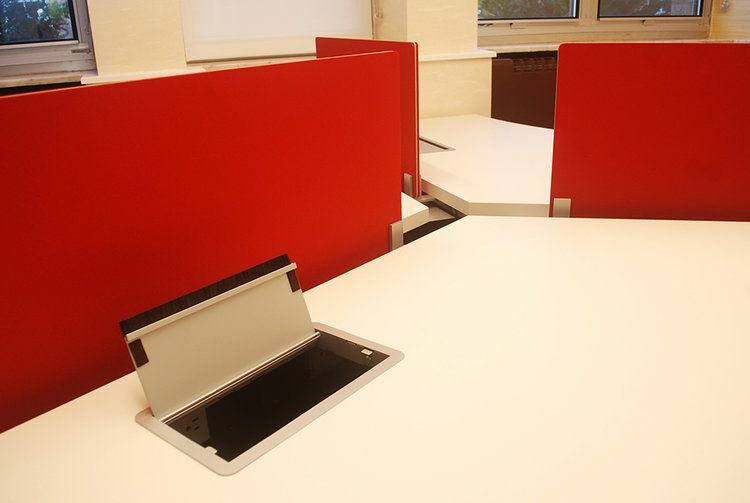 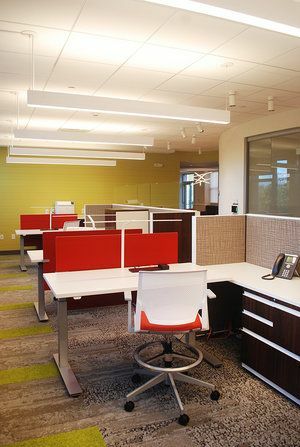 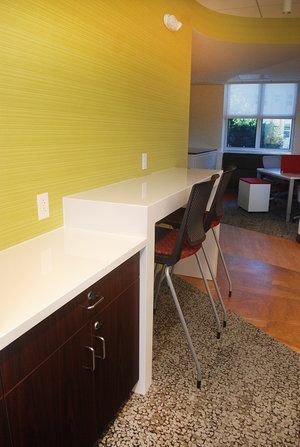 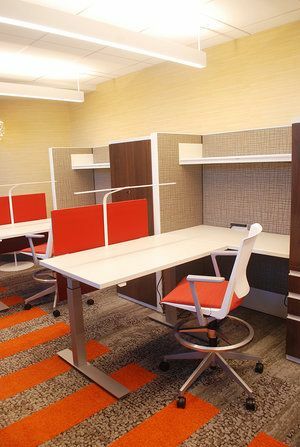 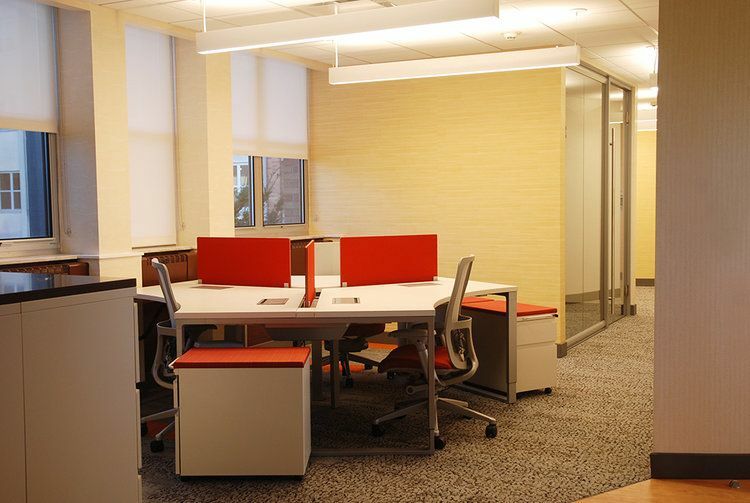 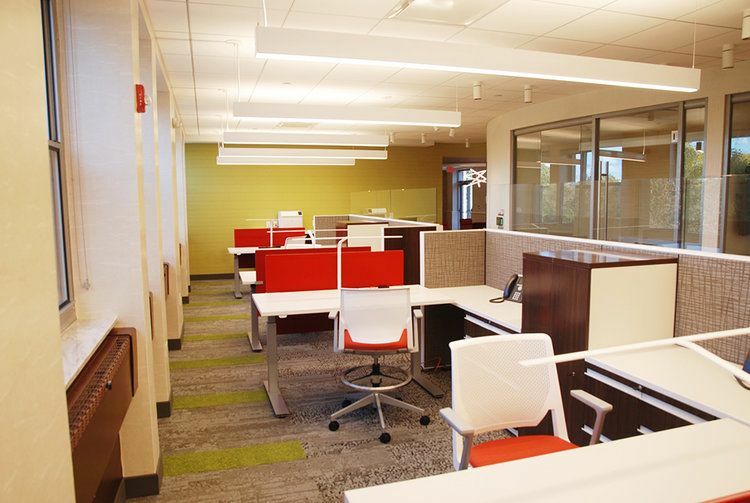 Modern, highly functional workstations are seen throughout – highlighted with red privacy panels. 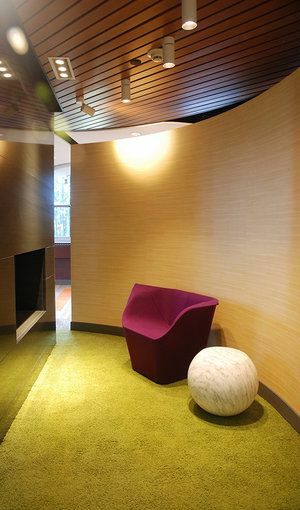 In addition, the hall off of the cafeteria leads to a meditation room. 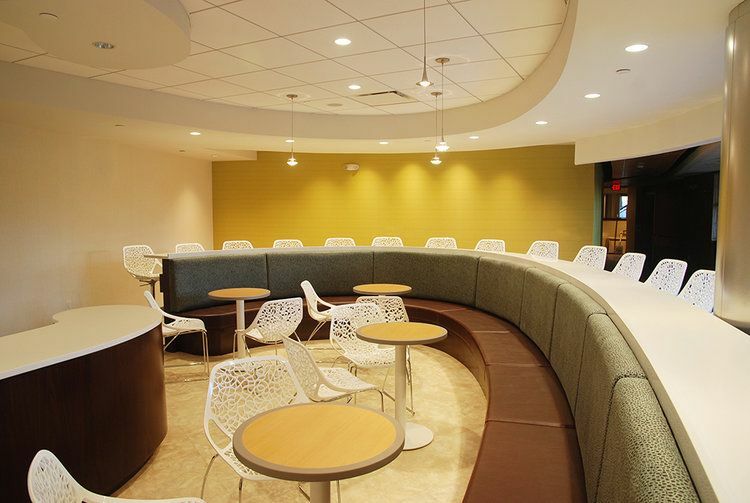 The space conveys bold expression and the commitment to Holy Redeemer’s mission.